Bring freshly harvested mushrooms on your table around the whole year. 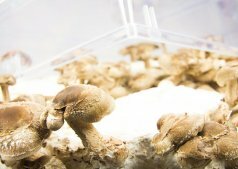 Our greenhouses provide ideal conditions for mushroom cultivation in an easy way. Air humidity and temperature controllers and equipment.